I'm not quite sure how to manage this situation. 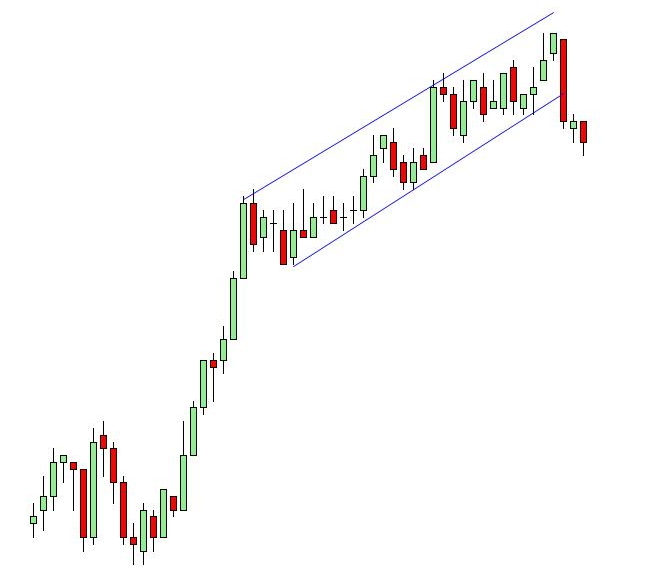 My initial thoughts are that shorts will enter on a break below the channel, and that they will realize that they are wrong if price breaks above the last candle. On the other hand, there is weakness in the uptrend which would set my expectations for a CPB instead of entering on this single-leg PB. Would you see this as a valid long opportunity? Also, given the choppy price action, there isn't a clear swing low to determine a change of trend to downtrend if price were to break lower. I'm sure it's mostly subjective, but where is the point when you would change your bias to bearish (given acceptance below the level)? I'm not looking to buy at all. My preference is to look for a selling opportunity. 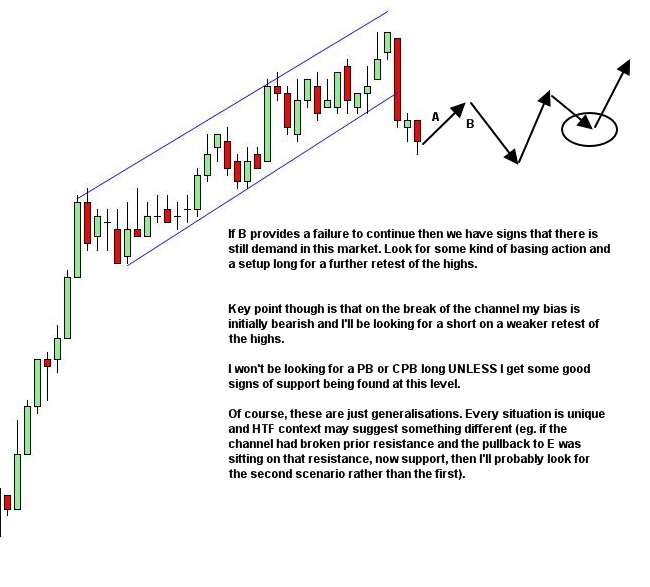 As a generalisation, and accepting that we have no HTF context at all, I see this as quite likely a topping pattern. Great article. 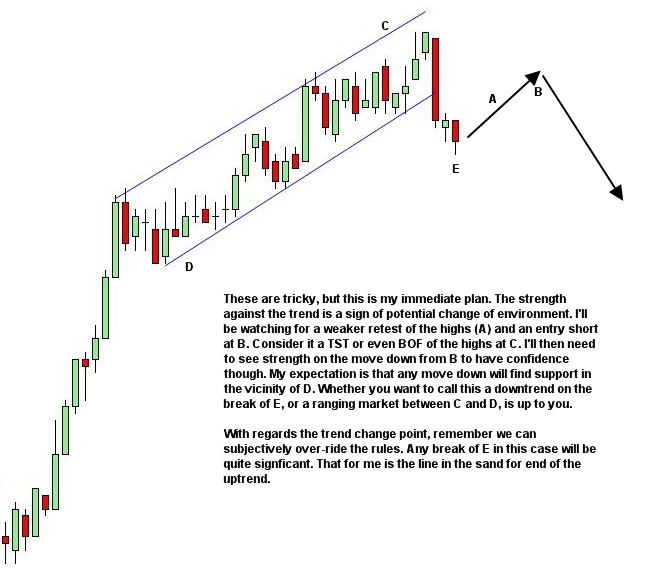 If this was the TTF chart, at what point should we stop buying in this grinding channel? If you see opportunity that has edge, then enter. And keep doing so until there is clear evidence that the channel has been broken. Because these narrow-range grinding channels can last a lot longer than expected. Personally, I struggle to see opportunity in these environments. But it is there.